Learning a foreign language is no easy task. It takes time and energy to master a foreign language. Chinese is considered one of the most difficult languages to master. So why select a foreign language that seems more difficult? In this article, you will learn that mastering Mandarin Chinese reaps many benefits, and it is in some respects easier than learning other European languages. First, Mandarin Chinese is the most spoken language in the world. The following graph illustrates that 20% of world population speak Chinese. Therefore, if you can speak Chinese, you can communicate nearly one fifth of the world’s population! Based on the full resolution of Lopéz ‘s map, Okrent suggests that even if we just count Mandarin Chinese speakers (848 million) they still outstrip English speakers by half a billion. Mandarin Chinese speakers can be found around the world, including Mainland China, Taiwan, and Chinese communities throughout Southeast Asia, North and South America, and Europe. Chinese is also one of an “official” UN languages. Second, learning Chinese broadens your cultural horizon by deepening the understanding of your own culture as well as other culture. Learning Chinese opens up a window into Chinese history and culture that is five thousand years old. 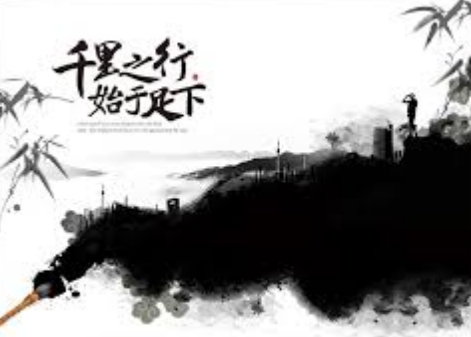 As you learn more about Chinese language, you will gain more understanding about your own culture and a rich oriental culture and civilization. Third, learning Chinese improves your career opportunities. Knowing Chinese will give you an extra edge in a global economy. International corporations that are doing business in the Chinese speaking regions prefer to hire people who can speak Chinese and understand their culture. China has the largest population and the fastest growing economy. China’s growing political, economic, and cultural influence has created great demand for trained and skilled Chinese language teachers. More and more people are learning Chinese; Chinese instructors are needed not only in the governmental sector but also k-12 public and private schools, as well as colleges and universities. You can pursue this teaching profession by obtaining a college and graduate school education in the fields of Chinese Language, Chinese Studies, or East Asian Studies. Teaching Opportunities overseas: You will have plenty of opportunities to teach English as a second language in China while obtaining a valuable cultural experience and developing your Chinese language skills. Teach in China A program offered through the Council on International Education Exchange. Fourth, foreign language is one of the core courses required for college admission and graduation. Many colleges and universities require at least two semesters of a foreign language as an integral part of the humanities and liberal arts core curriculum. Fifth, you can have the options of pursuing the following field of study in college. Last, but not the least, learning Chinese is intellectually challenging and beneficial for your cognitive development. No tenses: The verb form never changes. The tenses are indicated by the use of particles to express if an action takes place in the past, present or future. No conjugations: There is only one verb form in Chinese. No articles: No articles such as in Spanish–le/la/los/las to worry about in Chinese! No plurals: For instance, either one table or two tables, the Chinese word for the word “table” would be written the same either it is singular or plural. No gender: no masculine, feminine or neuter words. For instance, in Spanish, the word “casa” (home) is feminine; in Chinese, this word, as in many nouns, is genderless. No adjectives declensions: Chinese adjectives never change in form. Won’t you say Chinese adjectives are much simpler after comparing them with German adjectives? Simple Subject-Verb-Object sentence patterns: Chinese sentences, in general, follow simple Subject-Verb-Object sentence patterns. 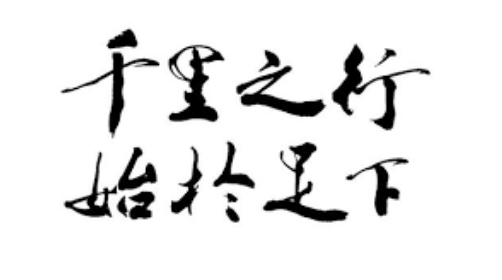 Chinese characters may appear insurmountable, but there is logic behind seemingly unfathomable-looking Chinese characters. Most of the characters are logical combinations of a frequently appearing radical (the meaning component) and a Sound component. It may take some time to acquire the knowledge of all 214 essential radicals that are associated with the meaning of each word. However, as you increasingly learn the most frequently used radicals, learning how to read and write Chinese gets easier. For example, 妈 (ma) is made up of 女 and 马 （ma). 女 （nu） is the radical meaning “woman”, 马 （ma) is the phonetic part of this character. 女(Nu) is used in words that are associated with female, (such as “aunt”, “sister”, girl, etc.) Once you get a handle of the essential radicals, it will help you learn Chinese characters. Like grammar, even characters, in some respects, are simpler than other Romanized European languages. In English, you have different names for meats (venison, mutton, pork, beef, etc. ), Chinese simply add an animal name with the word meat “肉” （rou), for instance, mutton (羊肉: yangrou) consists of these two parts: 羊（”yang”: sheep）+ 肉 （”rou”: meat). You have different English vocabularies for different months, but in Chinese, you simply add a number (1 to 12) before the word “month” (“yue”：月) and that accounts for 12 months of a year! The vocabularies for the days of a week are likewise created this way as well (except the Chinese word for Sunday). The following videos further debunk the theory that Chinese is too hard to learn. With willingness to put in the time and effort, you can master Chinese language (Chinese characters, vocabulary, and grammar) without too much difficulty. In a nutshell, learning Chinese reaps many benefits and YOU ARE CAPABLE! As Confucius said, “A journey of a thousand miles begins with a single step.” When one realizes that learning is limitless, they will never get bored! As one of the oldest languages and cultures that have evolved over thousands of years, Chinese will enrich your life. Either you are native or non-native speakers, you can always challenge yourself to reach new heights! Get yourself ready to meet the challenges in this increasingly globalized world. When opportunities come, you are ready! Get yourself ready to meet the challenges in this increasingly interconnected globalized world. When opportunities come, you are ready!